Raasay Lodge is a Canadian Style lodge with 3 bedrooms and one bathroom with shower over the bath. There is one double bedroom, one twin bedded room and one room with adult sized bunk beds. 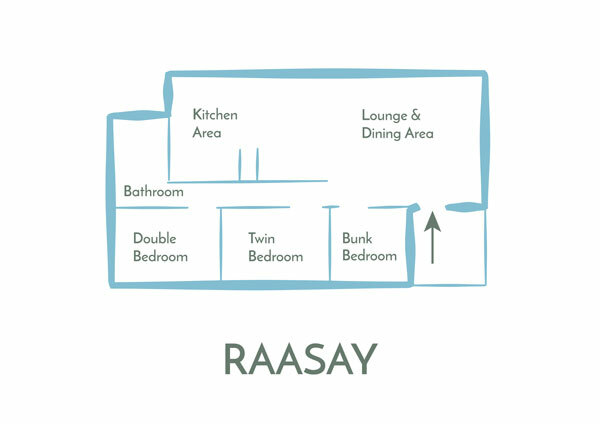 Raasay sleeps up to six people. The lodge has electric heating in every room controlled by you, so whatever the weather, or your personal temperature preference, you are in control. 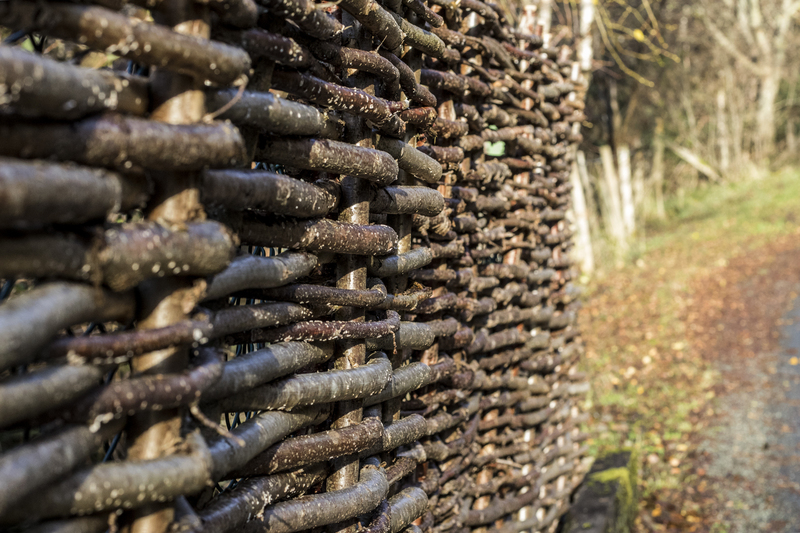 Heating and electricity are included in the price of the lodge. 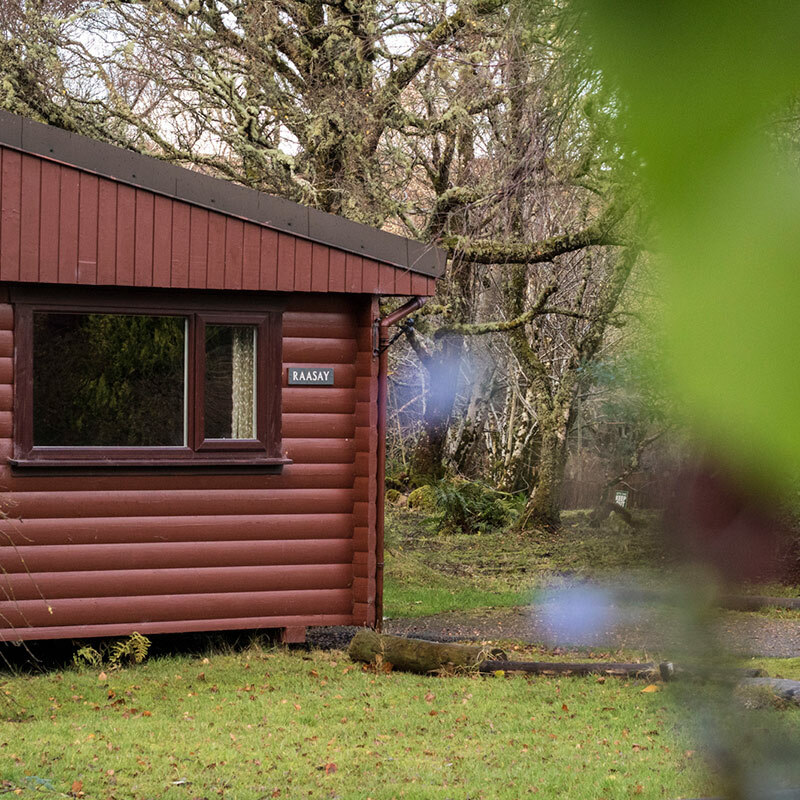 Raasay is situated next to the childrens play area, so if you have small children that you want to keep an eye on while they are playing on the swings this is a great lodge for you. If you don’t like the sound of children playing you should avoid this lodge during school holidays! In the second half of May the woods next to Raasay are carpeted in Scottish Bluebells. It is a beautiful sight and smells fantastic on a sunny day.